Whenever your home carpet requires deep steam cleaning or light dry treatment, call the experts from Magic Carpet Cleaning. Our local carpet technicians are among the best in Osidge. They have extensive experience in the trade and work with the latest and most advanced hot water extraction equipment. You can be sure that trapped dirt or heavy staining are removed the first time with our tried-and-tested cleaning methods. 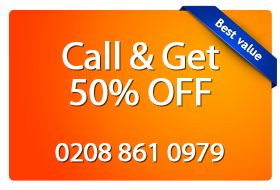 Don’t hesitate to call our team on 020 8861 0979 now and claim your free price quote. Our support team will be nore than happy to assist you with your booking. Homeowners and businesses from time to time will need the services of a carpet cleaning company to clean their carpets. Magic Carpet Cleaning rug cleaning and stains removal Osidge (N14) offers both residential and commercial steam cleaning services in all areas of London. You can rely on our specialists to handle any upholstery cleaning, rug cleaning and stains removal problems. We offer steam carpet cleaning and dry carpet cleaning services. On the job, we offer the best available carpet cleaning service in the Osidge N14. Our trusted and reliable carpet cleaners can come even for a same-day service. Just call us on 020 8861 0979 and book your next service. Our friendly support care staff can provide a free non-obligation quote and help you with all the arrangements. On the other hand, you can schedule a visit for a clean carpet via our quick online booking form. Either way, you will get one of the most professional and effective carpet cleaning service in Osidge at really competitive prices. Call us now!